In May 2013, Sports Illustrated published an issue with five St. Louis Cardinals — all starting pitchers — on the cover. Above the iconic magazine's logo was a simple banner: "The Cardinal Way." 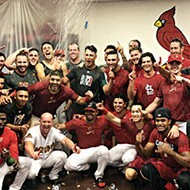 The Cardinals were on their way to a second National League pennant in three years and the third of five straight playoff appearances. The story summarized the franchise's distinctive ability to build strong teams through drafting well, developing smartly, and executing fundamental baseball to the highest standard on the major-league level. Cut to the present, and "the Cardinal Way" has become a brand of baseball from which those with a weak stomach must turn away. The Cardinals — winners of more Gold Gloves than any other National League franchise — have committed the most errors in the Senior Circuit. They are near the bottom of the NL in stolen bases, doubles, and triples, the kind of acts on a baseball field that energize a crowd, that demoralize (and more often than not, beat) an opponent. They have a quartet of pitchers on the disabled list — Adam Wainwright, Michael Wacha, Carlos Martinez, and Alex Reyes — that would make one of the sport's finest rotations if healthy and taking the mound four out of five games. At last week's trade deadline, St. Louis parted ways with two of the system's best athletes, both centerfielders. After receiving MVP votes after the 2017 season, Tommy Pham was sent to Tampa Bay for three minor-league prospects. A few hours later, Oscar Mercado was shipped to Cleveland for two low-minors prospects. 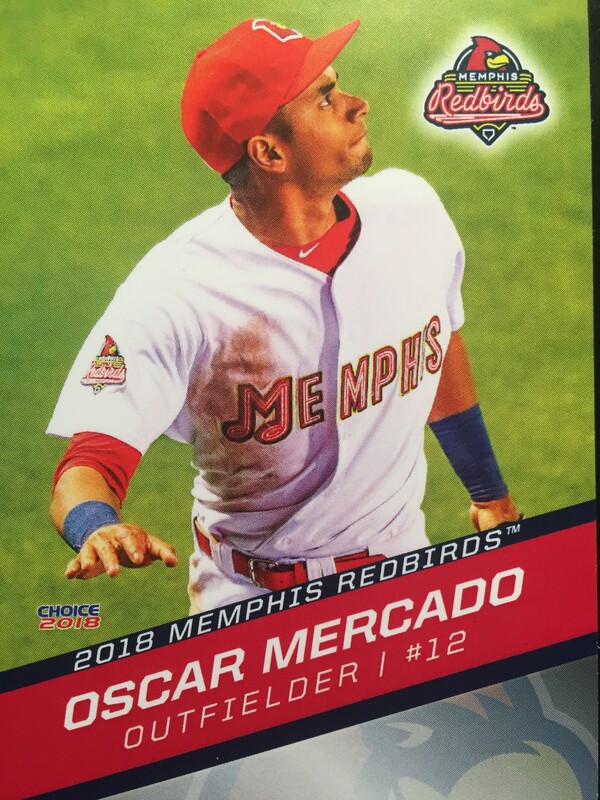 Mercado had been the Memphis Redbirds' spark plug for four months, leading the Pacific Coast League in steals (31) while topping the first-place Redbirds in hits (109) and runs (73). Mercado seemed to personify what the current Cardinal roster is desperately missing: a player with speed who makes contact at the plate and plays strong defense at a premium position. He'll now present that skill set in the Indians' system. 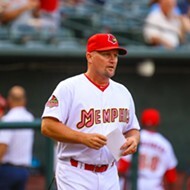 The disarray in St. Louis has dramatically impacted the team Redbirds manager Stubby Clapp has at his disposal for the stretch run of the PCL season. A five-man rotation of Memphis pitchers — Jack Flaherty, Austin Gomber, John Grant, Daniel Poncedeleon, and Dakota Hudson — is now almost half the arsenal of arms called upon by interim Cardinal manager Mike Shildt. Slugger Tyler O'Neill (26 home runs for Memphis this season) is now platooning (with Harrison Bader) in centerfield for the Cardinals. St. Louis traded another Memphis slugger, Luke Voit, to the New York Yankees less than a month after Voit hit for the cycle in a game at Iowa. For their first five games after the trade deadline, the Redbirds sent the following five men to the mound: Chris Ellis (his 10th start at the Triple-A level), Jake Woodford (6th), Austin Warner (2nd), Kevin Herget (27th! ), and Connor Jones (2nd). Memphis somehow won three of the five games, and with no O'Neill, Mercado, or Voit in sight. The Redbirds will get a chance to defend their PCL championship. Through Sunday's action, they hold a 13.5-game lead in their division. The question: How much magic potion does Clapp have left in whatever bottle he hides in the bowels of AutoZone Park? 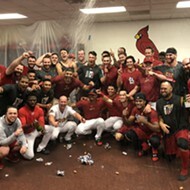 The 2017 Redbirds raised a pennant despite 62 players arriving and departing the Memphis clubhouse. Consider this year two of the parent club trying to re-establish footing in a National League that seems to be leaving "the Cardinal Way" well behind. The guess here is that Clapp will be in a major-league clubhouse himself next spring, either as a coach or in the manager's office. Can he deliver another trophy to the Cardinal system with the scraps left over by St. Louis management? Sustained success in the daily grind of a baseball season is challenging with a club's best players healthy and available. When you have to check the spelling of a player's name on the back of his uniform? Good luck.